Washington, D.C. (TADIAS) – In early August U.S. President Barack Obama will host a historic summit, the first ever gathering of heads of state from across the African continent in Washington, D.C. to discuss the future of the relationship between the United States and Africa. A diplomatic relationship formally began under President Theodore Roosevelt in 1903 when the first American diplomatic mission to the African continent arrived in Ethiopia to sign a commercial treaty with Emperor Menelik II. The White House notes that during the upcoming U.S.-Africa Leaders Summit Obama will not hold any one-on-one meetings with heads of state. Instead, the administration will engage guests in group sessions focusing on various topics. The President and First Lady Michelle Obama will also host a dinner at The White House. The Summit agenda includes “key areas that Africans define as critical for the future of the continent” such as trade and investment ties, engaging young African leaders, promoting inclusive sustainable development, expanding cooperation on peace and security, and gaining a better future for Africa’s next generation. The Summit will include six U.S. Government-sponsored “Signature Events,” allowing for in-depth conversations on some of the most pressing issues facing the U.S.-Africa partnership. These sessions will set the stage for the high-level discussions that President Obama will chair during the subsequent Summit leader meetings. The Senate Foreign Relations and House Foreign Affairs Committees will host a welcome reception for African leaders on Capitol Hill in the afternoon. African leaders and President Obama will engage in dialogue in three action-oriented sessions that will address issues of shared interest and mutual concern. The opening session will discuss inclusive, sustainable development, economic growth, and trade and investment. A working lunch centered around shared concerns regarding peace and security, including a discussion of long-term solutions to regional conflicts, peacekeeping challenges, and combating transnational threats. 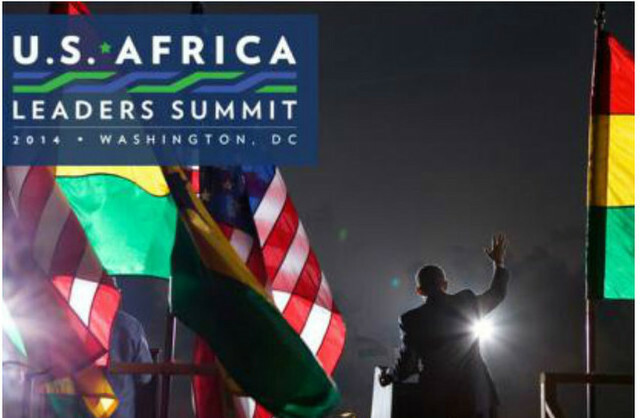 In order to leverage the presence in Washington, D.C. of so many African leaders as well as the intense interest in U.S.-Africa ties that the Summit has engendered, a number of non government actors – the private sector and non-profit organizations — are organizing events along the margins to coincide with the U.S.-Africa Leaders Summit. President Obama launched the Young African Leaders Initiative (YALI) in 2010 to support young leaders with opportunities and resources. Through YALI, the United States is committing significant resources to enhance leadership skills, bolster entrepreneurship, and connect young African leaders with one another, with the United States, and with the American people. Investing in the next generation of African leaders is critical to ensuring the success of Africa’s democracies and its economies. The Washington Fellowship for Young African Leaders is the exchange program of the President’s Young African Leaders Initiative (YALI). This program brings over 500 young leaders to the United States each year, beginning in 2014, for leadership training, academic coursework, and mentoring. It also creates unique opportunities in Africa, through internships and follow-on opportunities, to put those new skills to practical use in propelling economic growth and prosperity and strengthening democratic institutions. To be part of the YALI Network, follow @YALINetwork on Twitter or find us on Facebook. For more information on YALI, please visit YoungAfricanLeaders.state.gov.